Ranging from 66kW & 170Nm to 110kW & 220Nm, the Corsa's engines comply with Euro 6 to give you refined compact performance and outstanding eco-effeciency. The Corsa features a smooth 6 Speed Manual and Auto that enhance the driving experience at every gear. 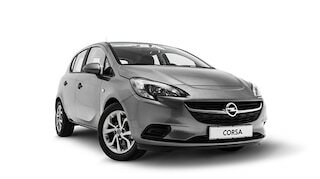 With a massive range of Euro 6 certified petrol engines, the new Corsa has the right fit for you. Experience outstanding comfort and precision driving with the Corsa suspension. The chassis is expertly designed to significantly reduce noise, vibration and harshness. Enhance your Corsa with a wide range of body colors and interior trim options. Premium fabrics, tactile flat surfaces or natural leather keep it feeling special. Switch on Bi-Xenon headlights for exceptional night vision. The integrated cornering lights help you maneuver. Opel signature LED Daytime Running Lightsmake sure you are seen. Selecting City Mode boosts the power assistance to the steering system, making light work of parking or manoeuvring at low speeds. 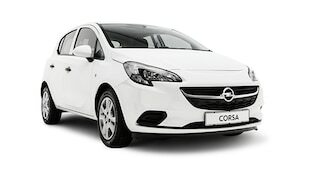 For a relaxed driving experience, the Corsa boasts reactionary capabilities to weather and light conditions. The world is at the centre of your dashboard console, with the IntelliLink system connecting you to both Android and iOS devices on a vibrant, 7” touch screen. The Radio CD 3.0T puts you in full control of the playlist, enhanced by 20-watt speakers, and featuring bluetooth audio streaming for a handsfree, jam-packed experience. Fresh air at the touch of a button! The electric sunroof is large but the wind deflector keeps you draft free while the sunshade keeps the heat out. Every Corsa belongs to one of six trim levels: Enjoy or Sport. Whichever you select, you’ll drive an outstanding car. The Enjoy adds stylish design elements. The Enjoy also available in Automatic transmission for ease of drive. Designed to impress.This magnificent machine nails the sporty look with effortless sophistication.